I have been waiting for years to see a well-designed alternative to the type of product shown on today’s Sh*tty side. Granted, the disadvantage of a more discreet design is that it doesn’t cover the full bumper, but I bet it still absorbs a majority of parking-related impacts and does so without looking like a lobster bib on your car. Man, are these awful looking. I get it. They’re practical. 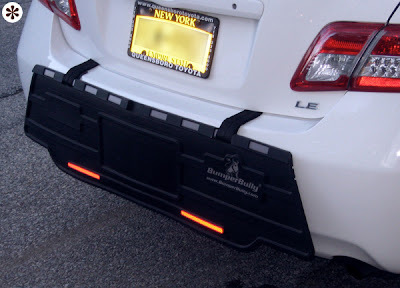 But what I don’t get is that if this thing is made of stuff that can protect my bumper, why isn’t my bumper just made of that stuff? It’s called a bumper, after all, not a ding collector. And the name of this particular brand really irritates me. 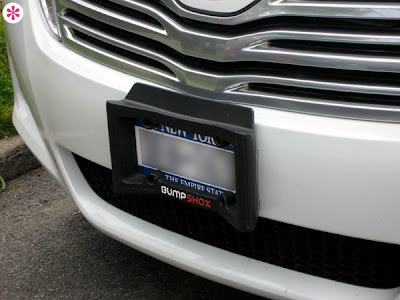 Bumper Bully? Last I checked, bullies weren’t in the habit of defending anyone. So I figure anyone who owns one of these intends to back into me, then take my lunch money.